Recognize those lines? I sure hope so. They’re connected to one of the hardest scenes I’ve ever written—the prologue of my debut novel, Ransomed Dreams. I’m often asked why and how I would write something that begins warm and fuzzy and ends with death. The simple answer is because that scene was pivotal for the story world of Ransomed Dreams. A more complicated answer delves into my heart, theology, and calling to write. I’m a firm believer that God never wastes an experience or trial in our lives. Never is that more clear then when I have the privilege of teaching, speaking, or writing. It’s in those places—a classroom, a crowded meeting room, or at my desk—that I watch God use the painful times in my past to connect with people. That’s how I wrote the prologue to Ransomed Dreams and some faith-challenging scenes in Healing Promises. I opened my heart up and let the Lord have free reign. I kept in mind the people who would one day read these words as well. My mentor calls it “bleeding into your work.” A graphic but appropriate description. Oftentimes it feels exactly like it sounds. I’ve never seen my child in a morgue, but I’ve been with them in an ER. I’ve lived through a car accident. I’ve watched family members die. I know what it’s like to lose a baby. None of those tears were wasted when I let the Lord use them as I wrote Ransomed Dreams and Healing Promises. As I’ve shared with women’s groups and readers. As I’ve held crying friends and family members. As I’ve let the Lord be my comforter and hold me close. If we’re willing to be honest and open about where our lives have taken us, first with the Lord and then with others as He directs, there is great potential for hope and healing and seeing the redemptive hand of God at work. Powerful words draw people into a place where they’re more open to hearing the Lord and letting Him heal their hearts. Whether they’re spoken or written, those words give us an entrance into another’s soul. Those powerful words are born out of our willingness to embrace our experiences and allow God to use them for His good. When FBI Agent Clint Rollins takes a bullet during a standoff, it might just save his life. But not even the ugly things he's seen during his years working in the Crimes Against Children Unit could prepare him for the overwhelming powerlessness of hospital tests revealing an unexpected diagnosis. If only Sara weren't retreating into doctor mode...he needs his wife more than ever. Sara Rollins is an oncologist with a mission—beating cancer when she can, easing her patients' suffering at the very least. 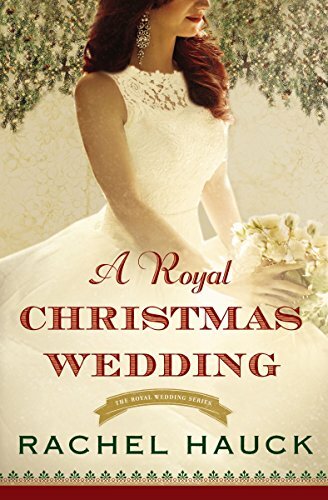 Now the life of her tall Texan husband is at stake. She never let the odds steal her hope before, but in this case, the question of God's healing promises is personal. Can she hold on to the truth she claimed to believe? As Clint continues to track down a serial kidnapper despite his illness, former investigations haunt his nightmares, pushing him beyond solving the case to risking his life and career. Clint struggles to believe God is still the God of miracles. Especially when he needs not one, but two. Everything in his life is reduced to one all-important question: Can God be trusted? 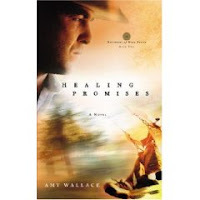 With the release of Healing Promises, Amy Wallace has joined the ranks of authors like John Grisham and Jeffrey Archer. The second in the Defenders of Hope series, Healing Promises delivers spellbinding action and characters so vivid, they'll live on in your memory long after you shelve the book. I was amazed by the depth of emotion Wallace gave her characters. Clint battles not only cancer but the ego-depleting realization he can't do what he needs to. The rage he feels over his inabilities and the impatience for God's healing are gut-wrenchingly authentic. The once confident Sara no longer believes what she knows as truth. Fear stalks her as surely as the kidnapper stalks his next victim. The deep spiritual truths they both learn are insightful and life-changing. And you get to journey with them as they navigate these roads of faith and hope. 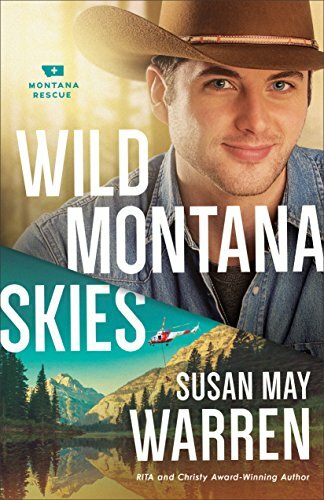 Normally, I'm not a reader of suspense or FBI thrillers, yet I found myself mesmerized, turning page after page, so engrossed in the story I forgot all about everything else. The impact of Healing Promises was profound, and this reviewer gives it five stars—a must read. NJ: To be entered in a drawing to win a copy of Healing Promises, leave a comment. So many need to hear of God's healing promises; I can't wait to read this book! Nothing is wasted. I think I shall put on my red shoes and tap my heels together. Yes! Romans 8:28, sister:). An adventure for the sould is never wasted, either. I look forward to a cup o'joe and a locked bathroom door when I bring this one home from the bookstore:). The female protagonist of my first novel is emotionally open/distant in direct proportion to how much I am willing to "bleed" in a particular scene. As I'm revising, rewriting, I'm praying for an open heart, for the strength to be vulnerable, for "powerful words" that bless and encourage. I'd like to read the book. I'm seeking how to add depth to my characters and make them more multi-dimensional. Even without sharing the same experiences, our own encounters can bleed through our characters. I enjoyed this interview with Amy. I know that some of my characters are flat and still trying to master the technique of adding more emotions and making them multi-dimensional. I'd love to win a copy of Healing Promises. I am following you on your virtual tour and loving it! A must read and I appreciate being in your drawing. So often I hear writers say that they borrow nothing from their lives or those of their family, and I start thinking, "What's wrong with me?" Sure I get inspiration from other places but I find experiences and situations from real life creeping into my writing. It's so very cool to hear your responses to talking about how nothing is ever wasted in our lives! Thank you! I would echo what you all have said well that you're finding in the rewriting that the more you pour your heart into your characters, the more alive they become. And, Patricia, I use a ton of real-life situations, but they're changed to fit the story. I think a lot of writers do this. It sure helps me to put myself in my characters shoes when I've experienced a small degree of what they are facing. I also wanted to say THANK YOU for your excitement about Healing Promises! It's a story that drained just about every drop of blood from me in writing and editing, but I love what God did with what I poured out. Please feel free to email me if you all have any questions or comments! Getting to talk with other writers is always a joy! I would like to win this book. Sounds like a great read. Great words, Amy :) You know I love Healing Promises! Don't include me in the draw, thanks. I am an avid christian fiction reader and would love the opportunity to read Healing Promises. God is so good, and I praise Him for the healing has allowed me. and please enter me in the contest. Sounds like a great book. Please enter me in the drawing. Thanks! If you are holding a drawing, I would love to enter. Your books are new to me and would love to read one. I am always looking for new authors(to me). Thanks!